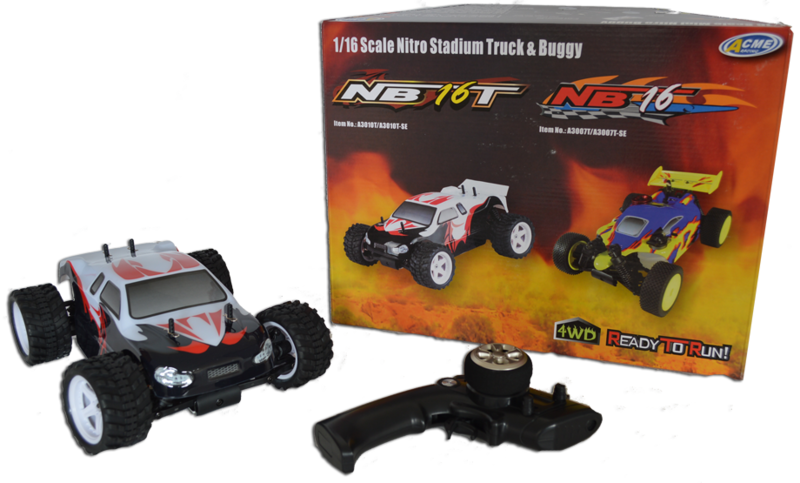 Home → Products → NB16-T Nitro RC Truggy - WITH FREE BOTTLE OF FUEL WORTH £9.99! 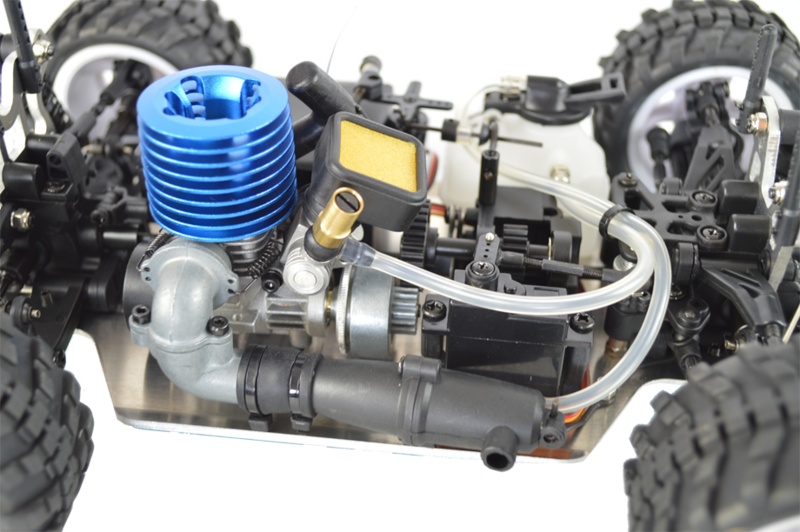 The NB16-T is a 1/16th nitro car with a big powerful punch. 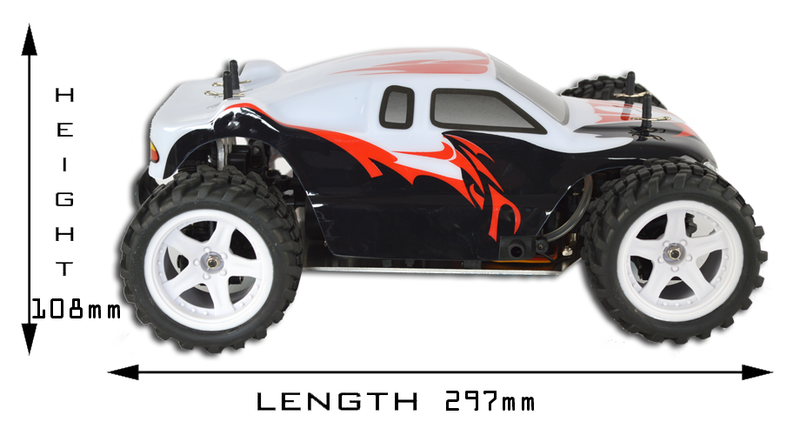 Small enough for back yard racing but powerful enough to outrun a lot of full scale models! 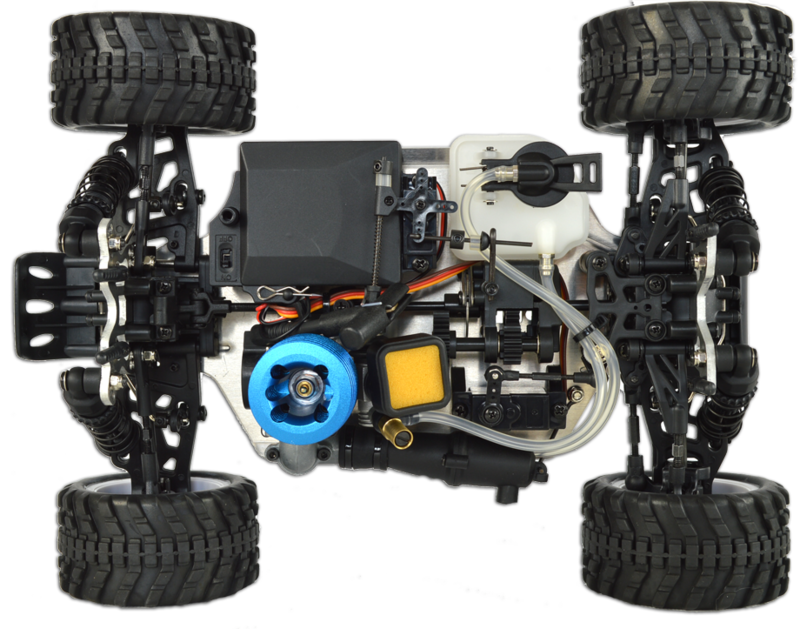 All the features and more that you would expect from a full size nitro car have been squeezed into this little monster truck. The result is a serious bit of kit for major back garden fun. 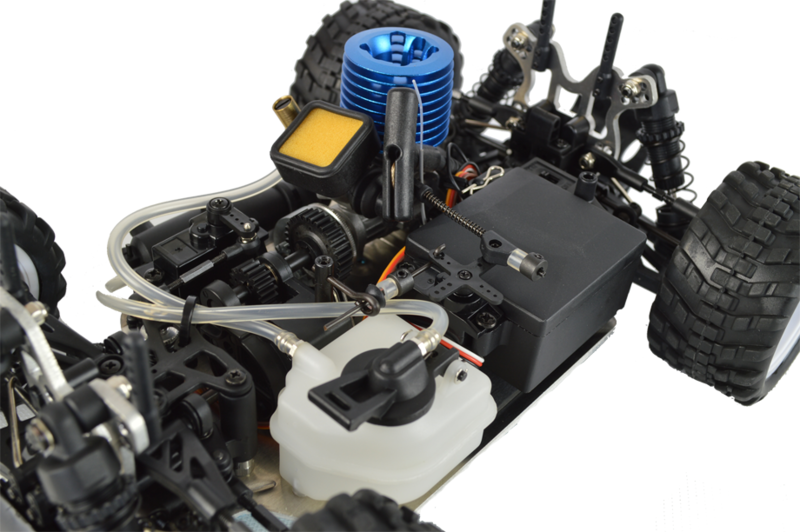 Mini nitro models have been very popular since Acme released the world's first mini nitro car in 2006 because unlike the original sized models you do not need a field or track to race them on. If you want a model that you can race both seriously at tracks but also have some fun with at home then this is the model to go for. 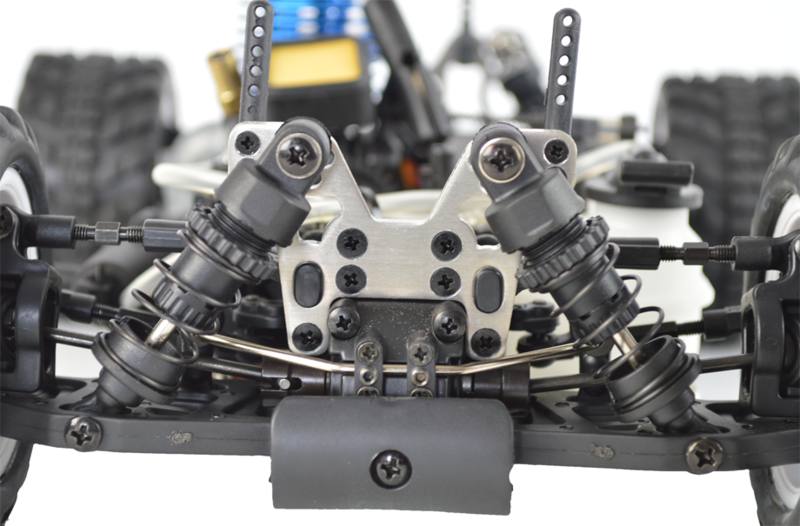 The NB16-T nitro car comes fully built with transmitter included. 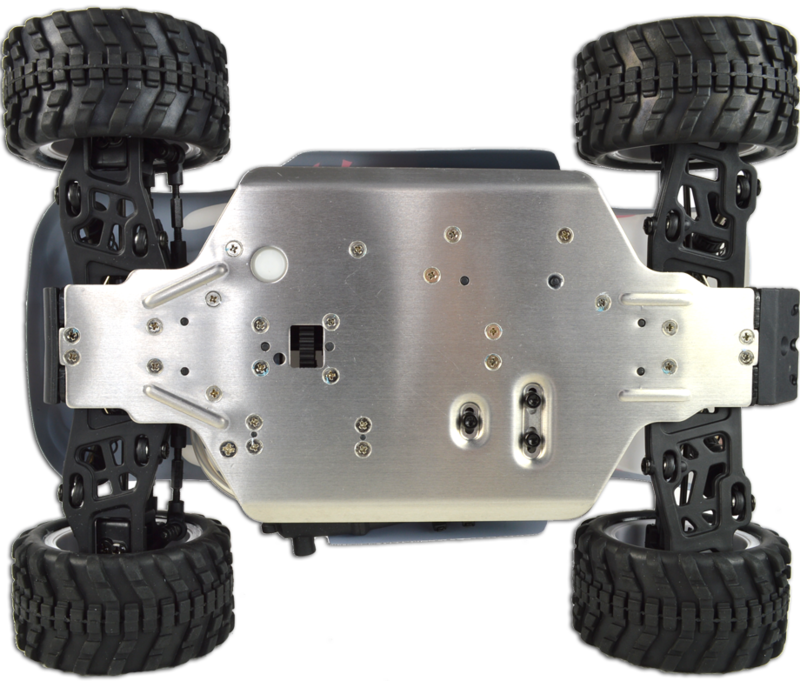 A sturdy aluminium chassis featuring counter sunk screws that will protect your model from any rocky or bumpy terrain damage. Drilled disc brake gives ultimate stopping power at high speeds. Small enough for back yard racing but powerful enough to outrun a lot of bigger models. 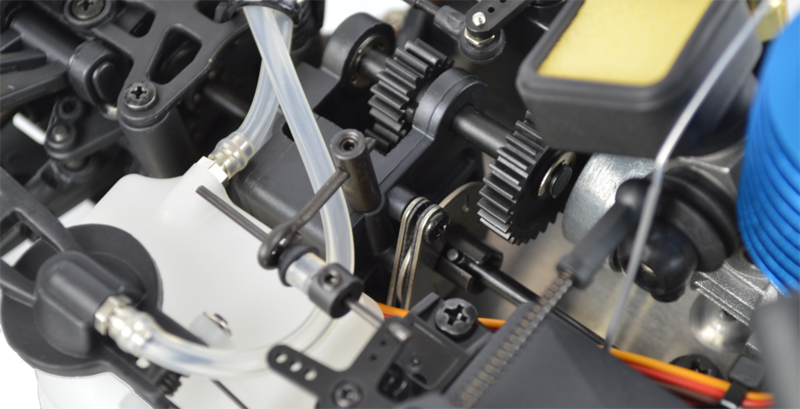 The angle and tension of the oil filled shocks is adjustable. Sway bars are fitted as standard that further improve handling.